Porcelain veneers are thin porcelain facings about half a millimeter thick that are placed over teeth to improve their shape or color, or to straighten mildly crooked teeth or close gaps. When well-designed, porcelain veneers have a very natural look. As porcelain resists stain better than tooth enamel, veneers will rarely discolor and will retain their beauty for many years. Veneers can completely transform a smile in just a couple of visits, and with the strong and durable porcelains we use, it’s a transformation that can last your lifetime. Drs. Nosti and Noveck have received the “Top Dentists” award for the past several years. Dr. John Nosti has attained a Fellowship from The Academy of Comprehensive Esthetics. Our doctors are very trained and experienced in creating new smiles using porcelain veneers, and between them they have placed many thousands of veneers. Dr. Noveck and Dr. Nosti are considered premier cosmetic dentists in the state of New Jersey, and their cosmetic work rivals that of dentists throughout the U.S. They have attended courses with many of the greats in cosmetic dentistry and are themselves opinion leaders in the field. As a result of his excellent work in cosmetic dentistry, Dr. Nosti has attained a fellowship from The Academy of Comprehensive Esthetics (cosmetic dentistry). His cosmetic work with porcelain veneers is featured in many books, pamphlets and online publications produced by the American Dental Association. He is a featured teacher in several courses teaching complex cosmetic work. 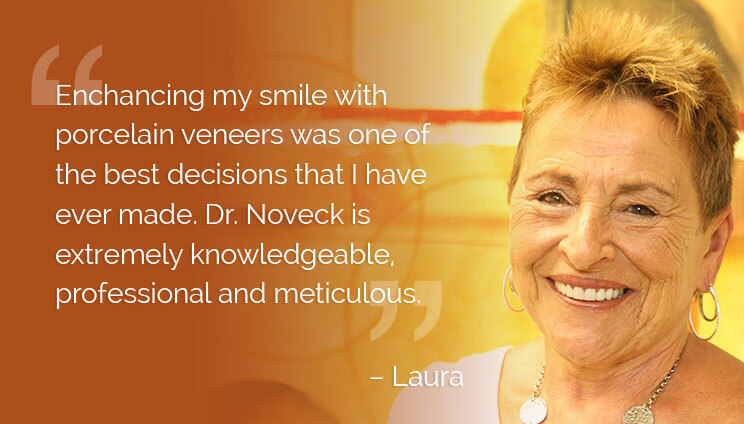 Dr. Noveck’s 30 plus years of experience in cosmetic dentistry and his dedication to constant continuing education have honed his skills and his artistic eye. His cosmetic work is so valued that it’s regularly featured in a top dental educator’s lectures and published works. Dr. Nosti’s work is featured in ADA publications. We use very strong porcelain for our veneers that allows us to create very thin veneers. Normally, the enamel on the tooth has to be shaved down to accommodate the veneer facing, otherwise the tooth appears to protrude. With our strong porcelain we can make the veneers nearly as thin as a contact lens, and either minimize or eliminate the need for shaving the tooth. Porcelain veneers can chip, fissure or break if the force on them is too great, and this is especially an issue for people who habitually grind or clench their teeth. 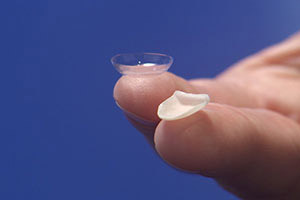 We use an extra-strong porcelain that can withstand the pressures of grinding and clenching. Photographs are a part of designing a new smile. 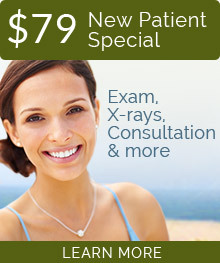 Your new smile design starts with external photos of your face and smile, at all angles. We take impressions of your teeth and prepare an exact model that both mimics the appearance and the function of your teeth and gums. Our books make it easy to choose the look of a new smile. Together you decide on the look you want your veneers to have. We have a lot of before and after cases for you to get ideas from, as well as smile books. The doctor will help you choose a look that will match your face and personality. Using a shade guide you will also decide on the exact shade you want your new teeth. Wax study models are used to provide an example of what new teeth will look like. The new smile is designed using the photos and the model of your teeth. Before creating your veneers, your doctor will show you how your new smile will look on a wax model. Any changes you want will be made, and once you are completely satisfied, full instructions are sent to one of our high-quality cosmetic labs to fabricate the veneers. Your veneers are placed over the course of two visits. In the first visit any preparation of your teeth is done and temporaries are placed. We make the temporaries as close to the finished veneers as possible, and this gives you and the doctor a chance to test run the veneers. He will ask you to make notes of anything you would like to change about how the veneers look or feel, and to take note if you experience any functional difficulty. Any tweaks needed can then be done on the final veneers, so that they give you the ideal smile you want. On your second visit your final veneers are simply swapped out with the temporaries and you are ready to go with your brand new beautiful smile! 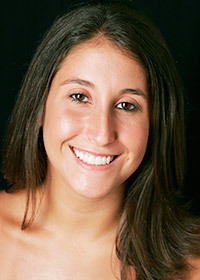 Rachel receives many compliments on her beautiful new smile. What can be accomplished with Porcelain Veneers? Many problems with your teeth can be solved with porcelain veneers. They are great for restoring worn or chipped teeth, stained or discolored teeth, and in fact for those with tetracycline staining, this may be their only solution for the beautiful new smile they are looking for. 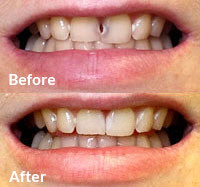 Veneers can be used to close spaces between teeth, lengthen teeth, and many times can be an alternative to braces. Some cosmetic dentists term this procedure “instant orthodontics” because with porcelain veneers you can have your teeth straightened (and whitened) in two appointments rather than waiting one to three years for traditional orthodontic treatments. Click here to see more before and afters. Dental bonding can also be used to increase the length of teeth and to improve a bite. Compared to porcelain veneers, dental bonding is not as strong as porcelain and deteriorates more quickly, easily chipping and losing its shine. It is more porous and more susceptible to stains. Porcelain maintains its structure and vibrancy and doesn’t chip easily.